Berlin. The capital city of Germany. A country full of culture and history. 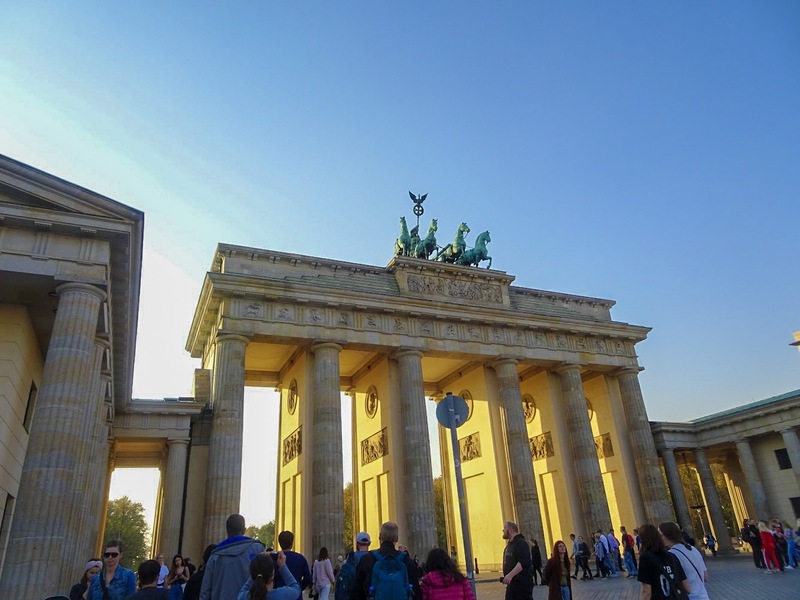 I was really looking forward to my trip to Berlin, it was my first time venturing to Germany (I had driven through Germany to get to Austria about 10 years ago) – so I was super excited to explore new country and new city. With the history that Berlin holds, I was looking forward to discovering the stories and tales of the city. Berlin was also my last trip of 2018, so I wanted to make sure that it was a good one. 2 days in Berlin – is that enough time? Although I had a short trip, I was able to see all the parts of Berlin that I initially wanted to, and have now found reasons to return. If you are planning to take a trip to Berlin, grab some itinerary inspiration from this post and let me know what you think in the comments. First of all, when planning my trip to Berlin I knew that I wanted to see a lot of places in a short space of time. When researching how to get around Berlin, I found the Berlin WelcomeCard which allows you to travel unlimited on public transport. The Berlin WelcomeCard also offers discounts on many of Berlin’s attractions and comes with a city map and guide. 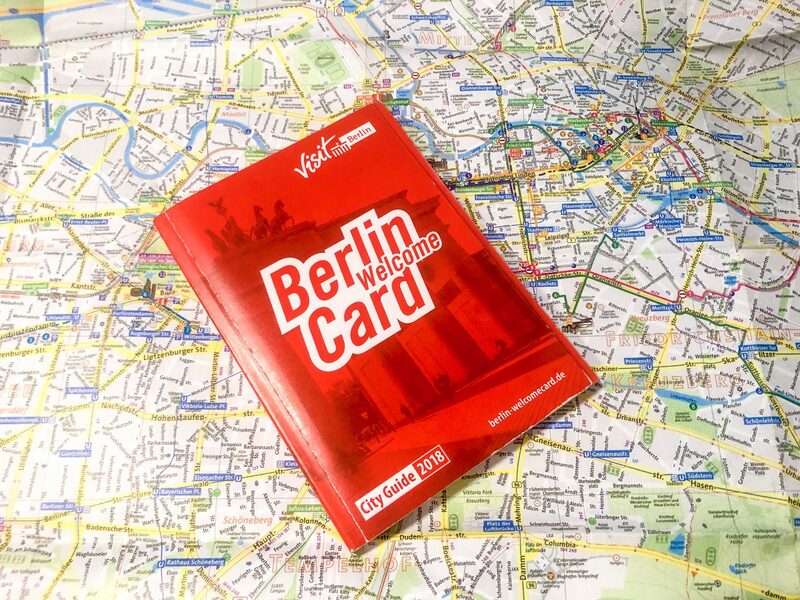 Whether you are planning a short or long trip in the city, the Berlin WelcomeCard is definitely great value for money. I was gifted a Berlin WelcomeCard which enabled me to have unlimited use of public transport. My Berlin WelcomeCard was for my 2 days in Berlin (48 hours). Google maps constantly put me in buses in the opposite direction, so having the Berlin WelcomeCard allowed me to constantly change buses with no additional costs. The Berlin WelcomeCard comes with the most extensive guide to Berlin, giving you a wide range of different activities to explore. You also get 200 discounts to use all over Berlin, from tours and attractions to restaurants and theatre. Once I landed in Berlin, I headed straight to the ‘Welcome’ desk at the airport to collect my Berlin WelcomeCard and the adventure began. My first day in Berlin was really chilled, I wondered around Charlottenberg – the area I was staying in and then had a nap once I was able to check-in – haha. After a much needed nap, I ventured decided that it was time to get out and about and explore the city. Using the Berlin WelcomeCard, I hopped on a bus with no particular destination in mind. I couldn’t tell you where I was, but I hopped on a bus, hopped off then decided to roam around. Berlin reminded me of London quite a bit. Several kebab shops, McDonalds and an abundance of Currywurst shops. I really didn’t feel like I was experiencing any kind of new culture. I felt like the only real different was that everything was in German. Berlin was not as diverse as I expected it to be, however, I have heard there is a festival in summer which celebrates the diversity of Berlin. While roaming the streets of Berlin, I started to getting lost in my thoughts and was enjoying being a new environment. I decided to not visit some of the popular tourist locations as I had tours planned for my second day in Berlin. As it was getting a little chilly, I decided to switch from my feet and use my Berlin WelcomeCard to go bus-hopping. Currywurst is a traditional German street food that can be found on every street corner in the city. A lady called Herta Heuwer owned a small away place known as an Imbiss and was able to get ketchup and curry powder from the British Troops. She combined sliced sausages – Bratwurst, drowned them in ketchup and sprinkled curry powder on top. Alas, Currywurst was born. I had my first Currywurst at a place called Curry36, which is a standard Currywurst takeaway place. You make your order and they have tables under a little shelter that you stand at and eat. It is quite a social environment and unlike in London when noone will join you on your table at the chicken shop, people just join a table. I definitely knew that 1 of my 2 days in Berlin, I would be bus hopping. Initially, my bus hopping started because Google Maps kept telling me to go in the wrong direction – haha. But then I decided to enjoy and embrace the adventure. With the Berlin WelcomeCard, I was able to use the buses as many times as I wanted and did not have to worry about extra travel costs. Once it got dark, I decided to call it a day and head back to the hostel. As stated, I was gifted generously with the Berlin WelcomeCard from Visit Berlin - as always, all opinions are my own.